This walking holiday explores southern Corfu, one of the most beautiful Greek islands. Visit sleepy villages framed by vineyards, walk along beaches and through shady olive groves, enjoying home cooked food at local tavernas. Liapades Beach - Boat trip up west coast (depending on numbers booked) €15, (6 people min. ); Agios georgios Wind surfer hire €10-12per hour. Throughout this trip we use a mixture of simple and standard accommodation. Due to the small size of the properties in Liapades, the group may be spread over a variety of studios/apartments in the area if necessary; in this case we will use the AVRA Sunset Sea View Liapades as a communal base with use of all the facilities there including the hotel's swimming pool. This is where breakfast and dinner will take place. 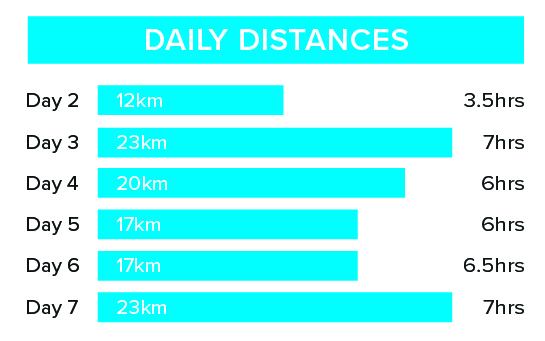 This is a 6-day hike with an average of 4 to 6 hours of walking a day. We follow footpaths, tracks, minor roads and beaches, reaching an altitude of 576m. This trek has been graded as moderate. 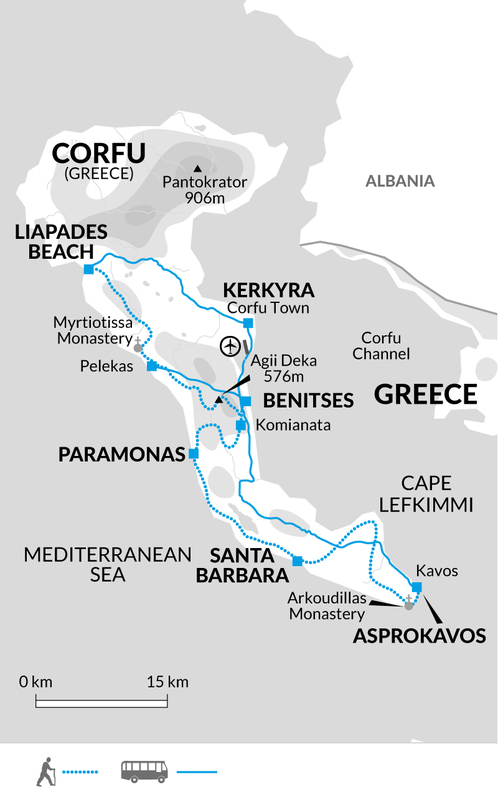 Walking Grades and Fitness - Walking on the Corfu Trail is generally on rough footpaths, cobbled mule paths, dirt and gravel tracks, minor roads and beaches. The highest point reached is 576m.